The Confidence Magnetic treadmill offers unbeatable value for those who want to work out in the convenience of their own home. 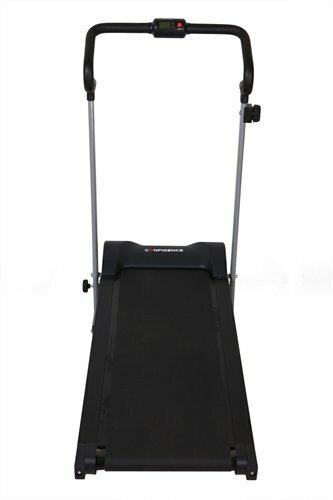 With 8 adjustable magnetic resistance levels and a simple and easy folding/storage mechanism, this is the ideal personal running machine. Quiet and smooth magnetic resistance with 8 adjustable levels to tailor your workout level. Fixed gentle incline . 12 month warranty. Product footprint : 19.1" x 47.2"